Like flash photography, memories fix people and things in a certain relationship in the frame, preserving that moment for further contemplation. Add to that the “in a flash” speed of reading–or writing–these short pieces, and you have this thing I call Flash Memoir. That’s what I wanted this book to be about. But it isn’t, not totally. This is just another little book with the same advice you’ll find in all the “how to write your memoir” genre that has sprung up. Norton is commendably concise in delivering that advice. That’s what I thought…until page 27, when I encountered chapter 7, “Shimmering Images.” Then I got the gift Norton has for us. In about 1000 words she gives us the key to her kingdom, her methodology for unlocking the heart of a story and telling it well. The rest of the book goes back to roughly the same advice you’ll find in any memoir manual… how to start, how to keep going, some craft stuff to make what you produce better. The middle part of this 112-page book is the meat in a sandwich served with fairly bland bread on either side. Oh, Norton’s good at the colorful metaphor that makes what she’s saying more concrete. Finding your branching points is “going to the mountaintop, looking down on the river.” Structure is a “castle”. I bet Norton is a really good teacher. I’d like to attend one of her workshops. Bottom line: If you don’t have more than an inch of “how to write memoir” books on your shelf, by all means go buy this one. I’d put it right up there with Marion Roach Smith’s The Memoir Project for useful advice from a personable teacher. But don’t let reading how-to books keep you from letting your mind flip through those half-remembered snapshots in memory and see what develops. This entry was posted in Book review and tagged flash memoir. Bookmark the permalink. 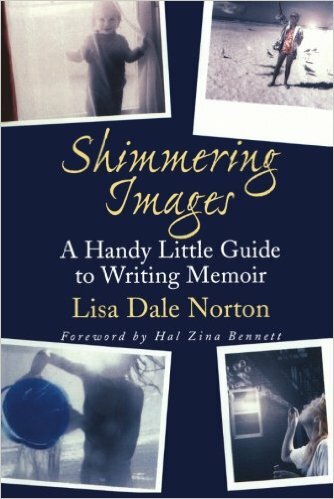 Glad that part of chapter seven in my book Shimmering Images worked for you.